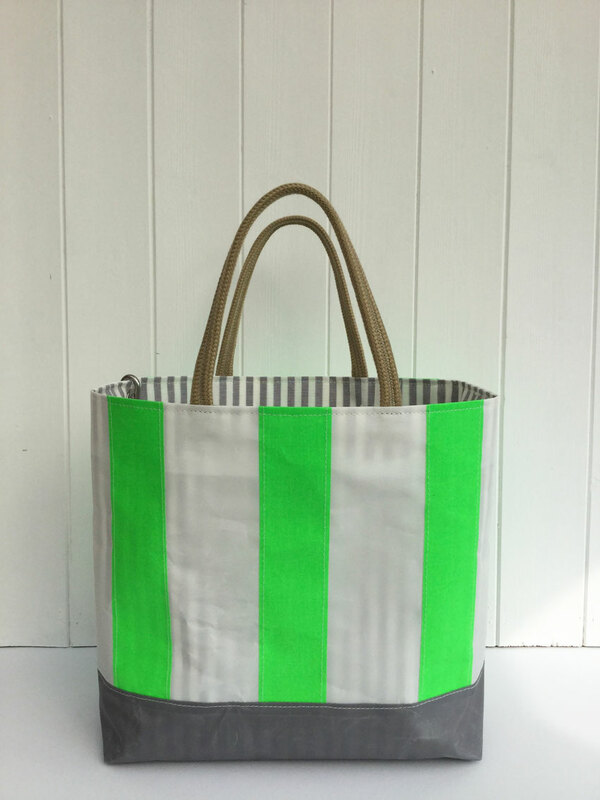 Bright green stripes stitched on to white sailcloth, with grey sailcloth base. 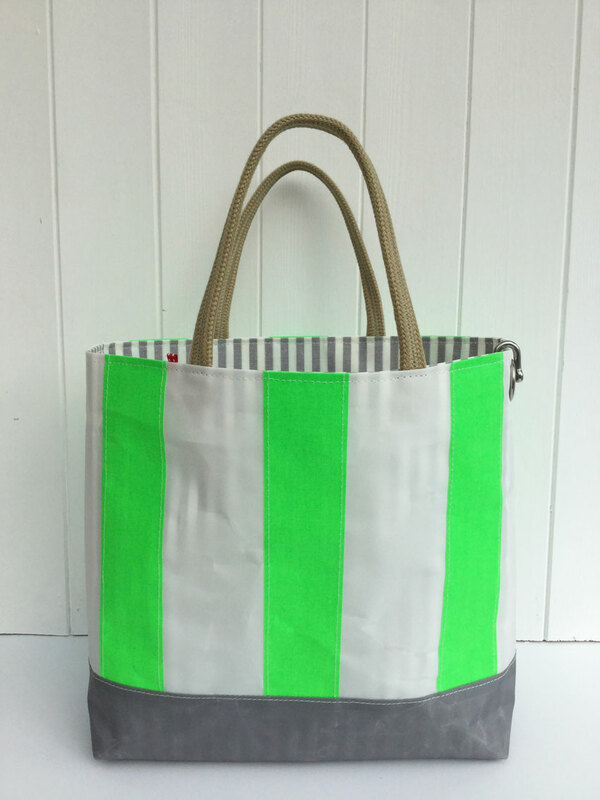 Grey and white striped cotton lining, jute-colour handles, eyelet and shackle. 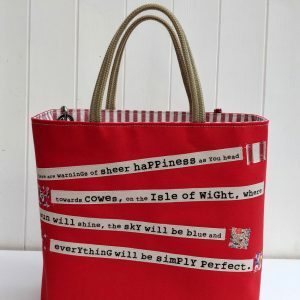 Our Sailcloth bags are based upon the original Dr. Bean canvas Shipping Forecast bag. 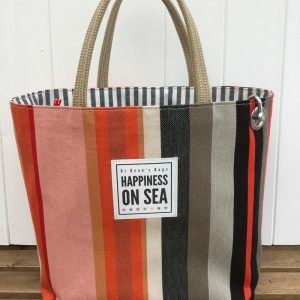 Using modern sail material, with an updated jaunty stripe, these are still very much inspired by our Cowes location and its sailing heritage. 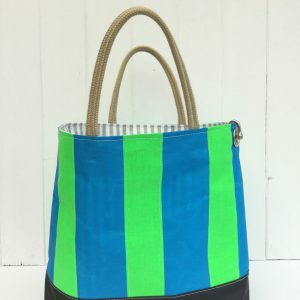 Our bags always include an eyelet and stainless steel shackle (in Cowes, you never know when you might need one).